You must be a member of the Duesseldorf Mexican Culture & Food Group to attend this activity. Would you like to join this group? 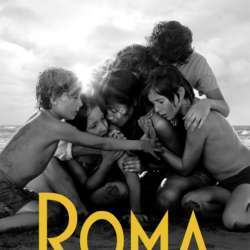 We will watch “Roma”, Cuaron’s latest Oscar nominated movie, and talk about the context and the setting, especially the past and present political situation in Mexico. We will also talk about Cuaron’s other films and how the work of Mexico’s most important director has developed over time. You can look forward to Mexican finger food and beer!